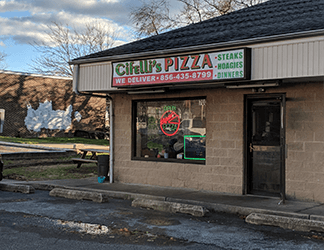 At Cifelli’s Pizza “We Deliver” doesn’t just mean we deliver your pizza. We deliver quality food made with quality ingredients, at a competitive price! The food is great and the staff is friendly. There are many good daily specials posted inside the store. The delivery is very fast even during peak periods and the food always comes hot. Food was great! We will definitely be back or ordering for delivery! The service is awesome, very friendly atmosphere! Forever on the hunt for the best cheese steak and this is it. They use high quality beef that isn’t greasy or gristly, their rolls are always fresh and the prices are good. They also package their fries or onion rings in a paper bag to go so that they stay crispy (smart!!!) Recommend getting it to go, the place isn’t meant for dine in…but, you won’t be disappointed with your meal! Good food friendly service, they aim to please.